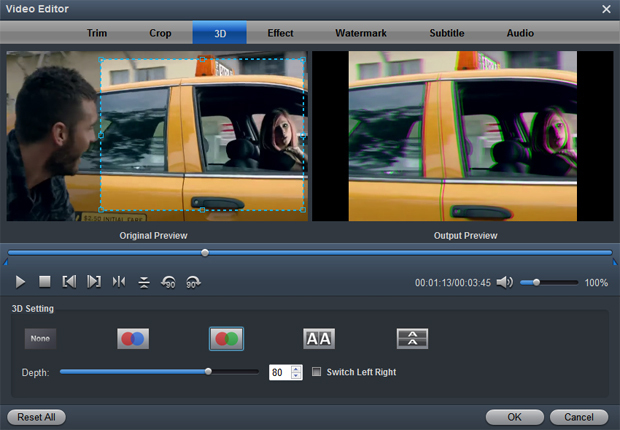 Acrok HD Video Converter for Mac is a powerful program that can help you to convert virtually any type of video formats. Please download it and follow the guide and learn how to convert video and audio files. Click the Add Files button on the main interface to load video or audio files from your computer or other devices like USB device, camcorder, etc. 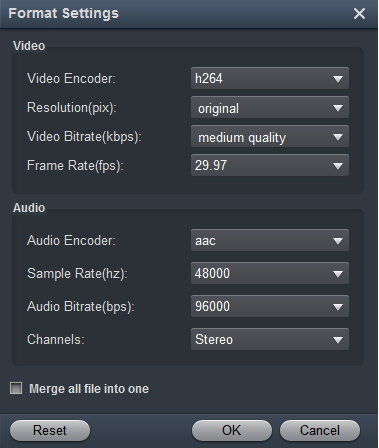 You can also directly drag the files you want to convert to the Acrok HD Video Converter for Mac main interface. Batch conversion is supported by this software, so you can add several files as you like at one time. Click the "Format" drop-down menu to choose an output format that you prefer. 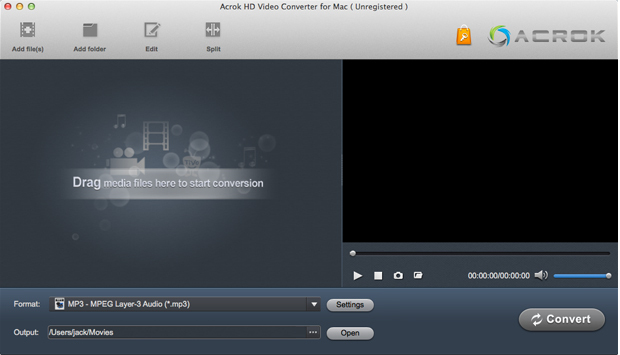 Acrok HD Video Converter for Mac can convert video to various video formats like MKV, AVI, MP4, MOV, FLV, WMV, 3GP, etc. and video presets for popular portable devices like iPad Air, iPad Mini, iPhone 5S, Apple TV 3 and Android/Windows tablet/smartphone are provided to let you convert videos to fit your devices. Tip 2. How to play videos Acrok HD Video Converter for Mac also acts as a perfect media player that lets you play videos in various formats. After loading the files, click the Play button the software will play your videos smoothly. While playing, you can take snapshots of your favorite movie scenes, enjoy fullscreen view, convert files, etc. as you like.